Lavon and Ruby are neck and neck for the Mayor position, Lavon is elected. Ruby and him confess they still have feelings for another and get together. Lemon also comes to the realization that she too has feelings for Lavon and confesses them to Annabeth. 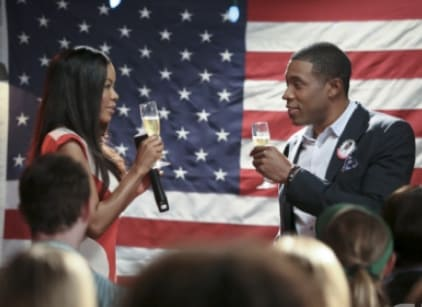 Wade and George try to convince Wade's ex-wife to vote for Lavon. Zoe figures out that Brick is having girl problems with Emily and convinces him to go see her while also teaching Magnolia how to drive.